What is the IGCHE Qualification Portal? How can I access the IGCHE Qualification Portal? The IGCHE Qualification Portal is an online eLearning tool that accompanies the German language training at the Indian universities. It contains lots of training material and many short quizzes at all levels of language proficiency. 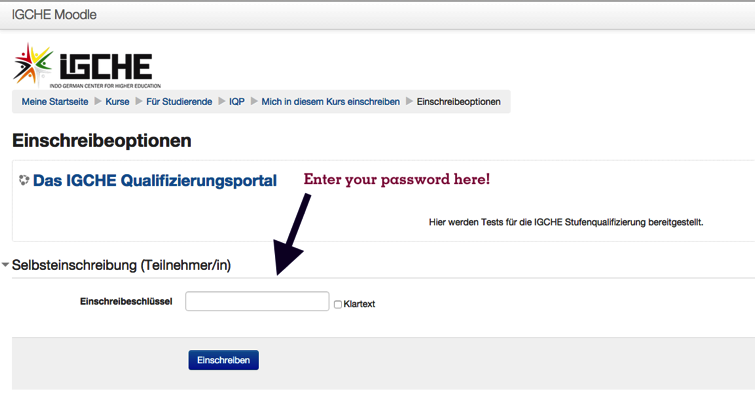 The portal was developed by IGCHE and is constantly improved both by IGCHE and IIK (Institut für internationale Kommunikation, Düsseldorf). Students of the IGCHE programme have to use this portal regularly to prepare for language tests and to show that they are working on their language skills. 1. 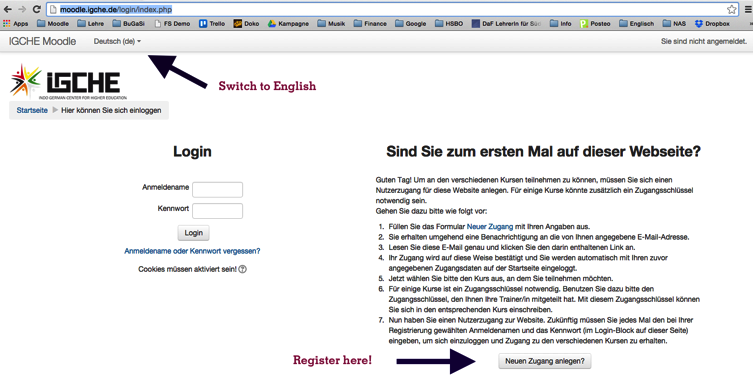 Please register at the IGCHE Qualification Portal. Access to the IGCHE Qualification Portal is for students of the IGCHE programme only. Disclaimer: The information in this FAQ has been thoroughly put together and checked for errors. However, we cannot guarantee that information is accurate or up to date. You are advised to contact IGCHE by phone or email before acting upon information given in this FAQ. Anyone using this FAQ and acting on information published on it does so at their own risk.